There are many types of solar panels and at least as many ways to design and install a system. With this page we try to find out what your enquiries are and show some common solutions. 1. Why do you want to install a PV system? To reduce the production of green house gases ? To safe on electricity cost ? To invest your money in a safe investment with high interest ? To be electricity wise independent and load shedding free ? 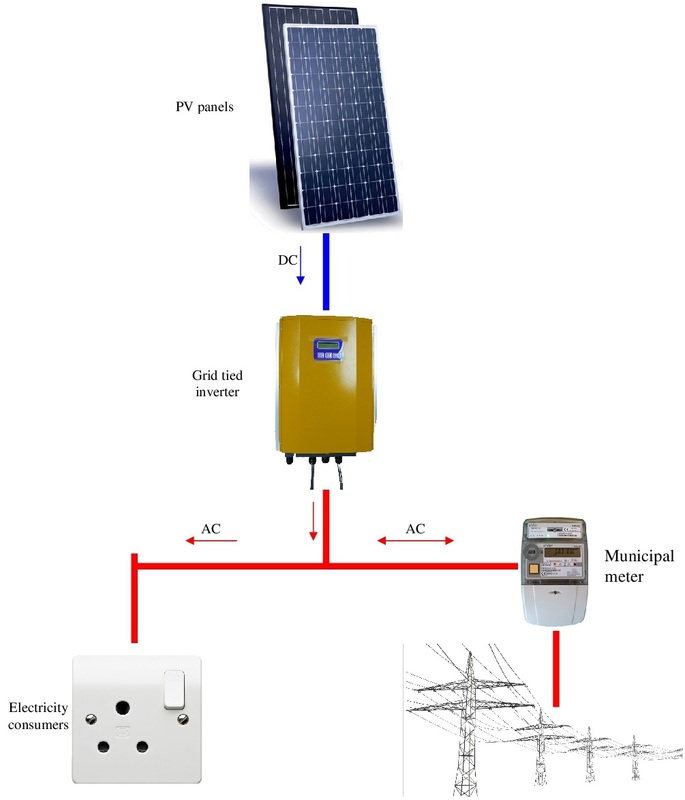 If you have a PV solar system doesn't mean that you are not affected from load shedding. During load shedding a normal inverter is not operating and the PV panels also not. But there are solutions like island inverters which still operate during that time or the installation of a battery backup. 2. What do you expect from the system? For a typical household this system is the most expensive solution because it requires a huge battery backup to provide electricity when the sun doesn't shine. Nevertheless it can be still connected to the grid for unforeseen events and also to minimize the size of the battery backup. The size of the system depends basically on the amount of electricity consumed and if you just want to cut off the peak tariffs or to produce as much electricity as possible/required on your own. When you calculate your system keep in mind that the inverter is the second most expensive part and should run ideal on 90% of its capacity to first operate it most efficient and second to bring the payback time down. Because an overdesigned inverter brings your installation cost up as well as your payback time. 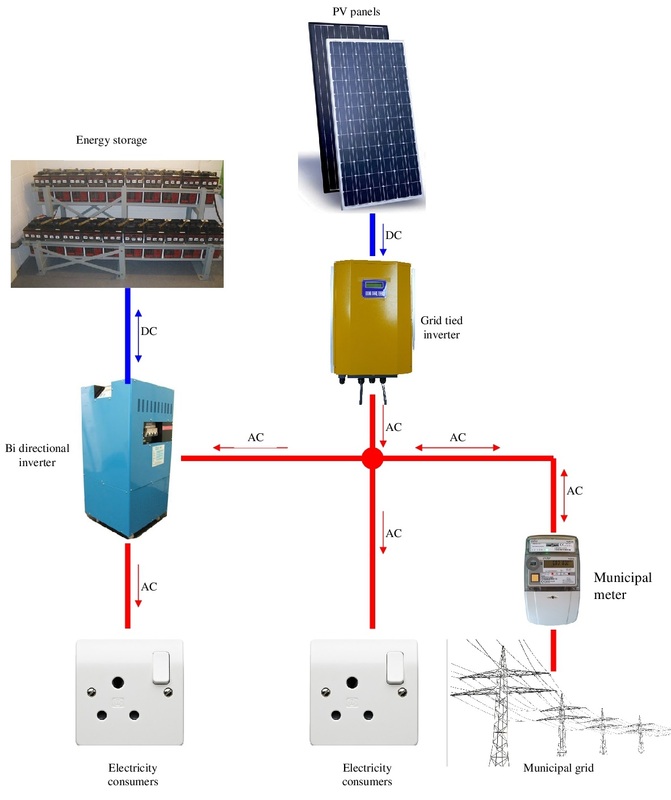 In this option the electricity consumers connected to the Bi-directional inverter will be still working even when the grid is not operating. 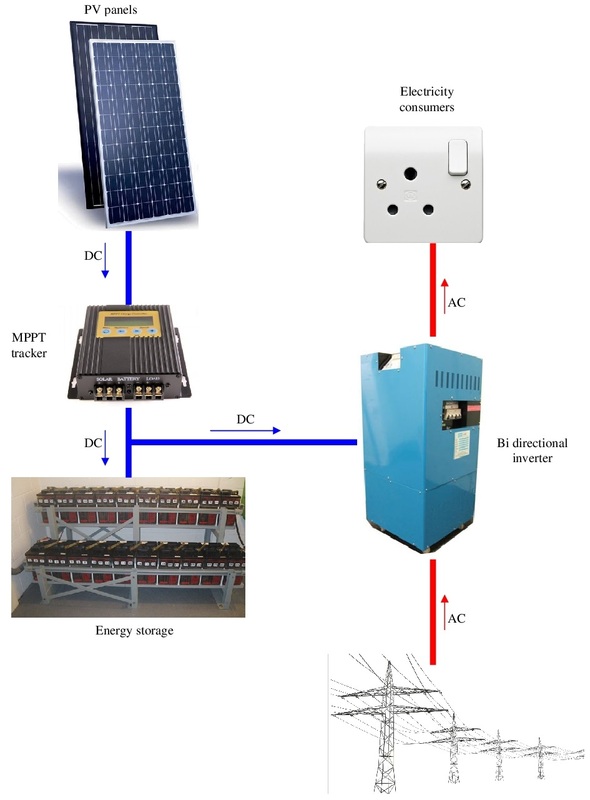 Note that the circuits connected to the Bi-directional inverter must not exceed the capacity of the Bi-directional inverter.